It is easy to keep in mind the roads to take and also the places where your friends and family reside but there is one thing that you wouldn’t always be sure of and that is the exact address of someone. In the time of need such as sending an invitation or some important letters, you will require the exact address. When this happens it is necessary that you have the address list already compiled with you so that you don’t have to call up your friends every time to ask them their address while you need. Keeping in mind the fact that everyone needs the exact address of relatives and friends, a phone and address book is designed which is of great use especially when there is some occasion. However, this address list template is no ordinary, you can not only jot down the address but also the email address, land-line number etc. too so that whenever you need the information it is right there in front of you. 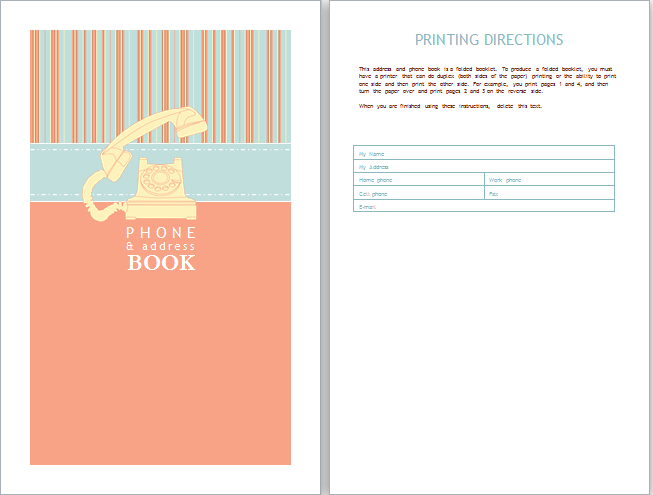 The sample phone book template is so simple and very easy to use. For many people, it has brought an order in their life. No more losing of a diary and along with it all the information. You can just put down all the information and place it or better paste it somewhere convenient such as near your phone set. This way you will get the ability to call up without searching numbers and write the address on letters without searching through thick diaries.